“Yamaha Award” is a new special award set up for YouFab2016 by Yamaha Corporation. During the 3-month submission period (August 1st to the end of October), 147 submissions were received from 27 countries. They each demonstrated a unique take on the concept of co-creation that Yamaha aims to achieve. 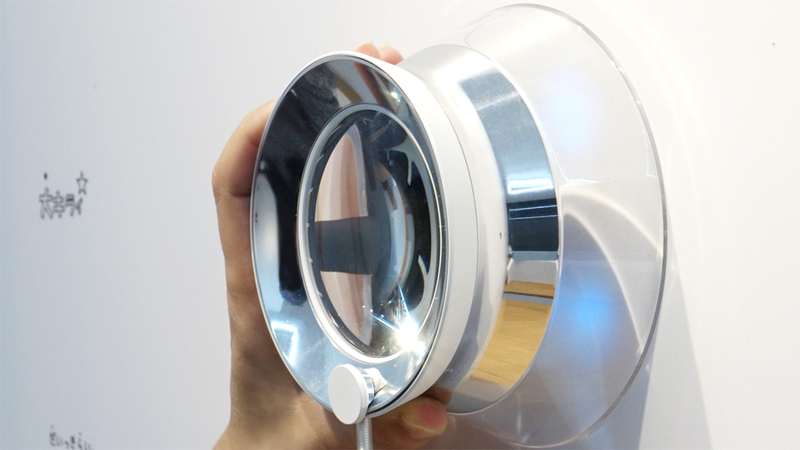 The judges selected OTON GLASS for the Yamaha Award, which also received the Grand Prize. 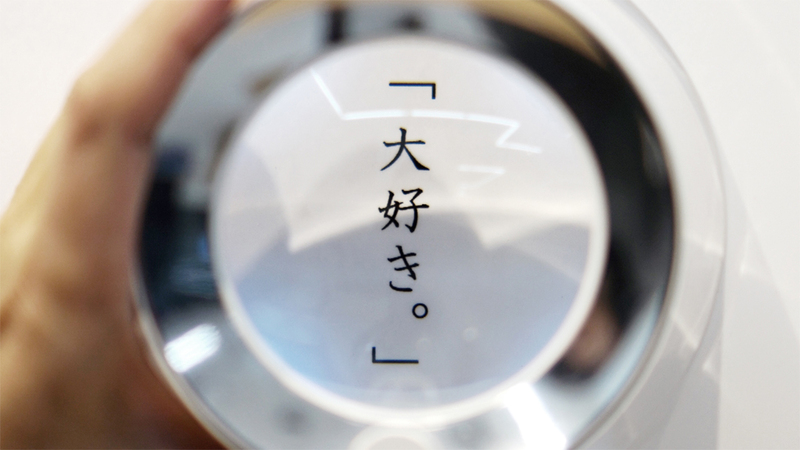 The prototype of “emoglass,” developed by the employees of Yamaha and OTON GLASS based on the theme of Yamaha Award, “the switch to your emotions,” was displayed at the Award Exhibition held between March 8th and March 19th, 2017. We will explore the story of how emoglass came about, and how it was on display at the exhibit. Exploring the new aspect of OTON GLASS. A new experience created with sight and hearing. A developer of OTON GLASS, Mr. Shimakage (left), and Mr. Manabu Kawata (right), a Yamaha Award judge, who is trying out OTON GLASS. “Yamaha Award” asked the creators, if an opportunity to move your own or someone else’semotions can be called “the switch to your emotions,” what would it look like? 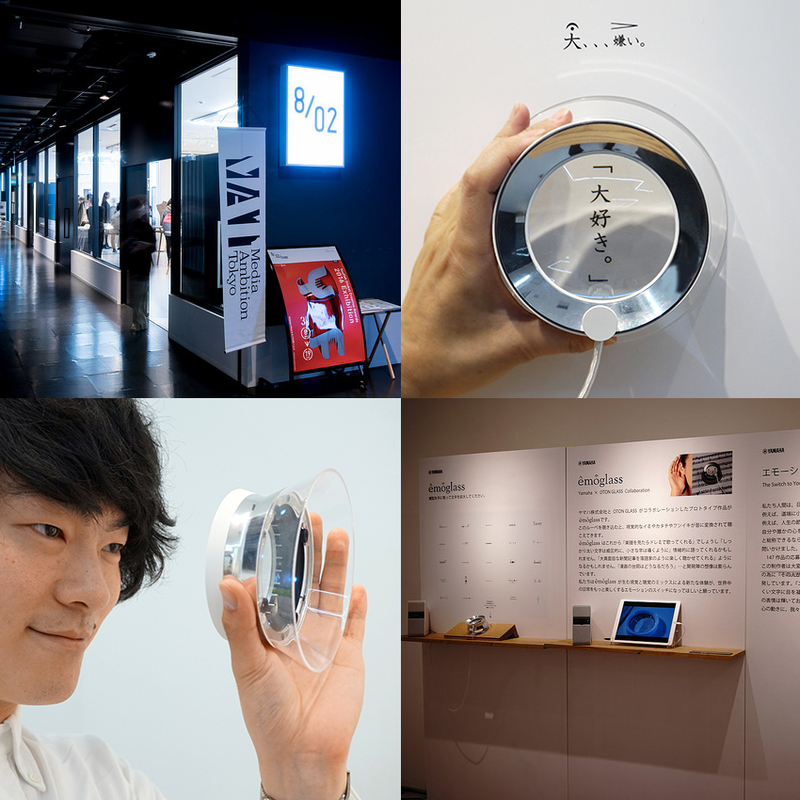 “OTON GLASS,” which converts visual textual information into sound to support the act of “reading,” was selected from 147 works submitted from all over the world. OTON GLASS was originally developed as a problem-solving device. 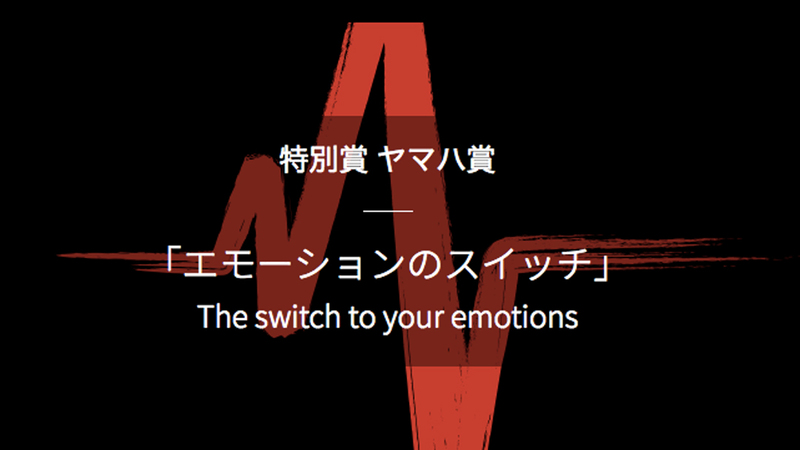 Tthe origin of the idea, intentions of the creation team, and the new experience created by visual and auditory senses flicked on Yamaha’s project members’ “(The) switch to (your) emotion”. Visual meanings and shapes change to sound. Everyday becomes more interesting all over the world. 2,000 people experienced the switch to their emotions, which transects vision and hearing. Between March 8th and 19th, over 2,000 people tried the new visual/auditory experience with the prototype at Shibuya Hikarie in Tokyo. 2 words, “I hate you” and “I love you,” are written on the wall. 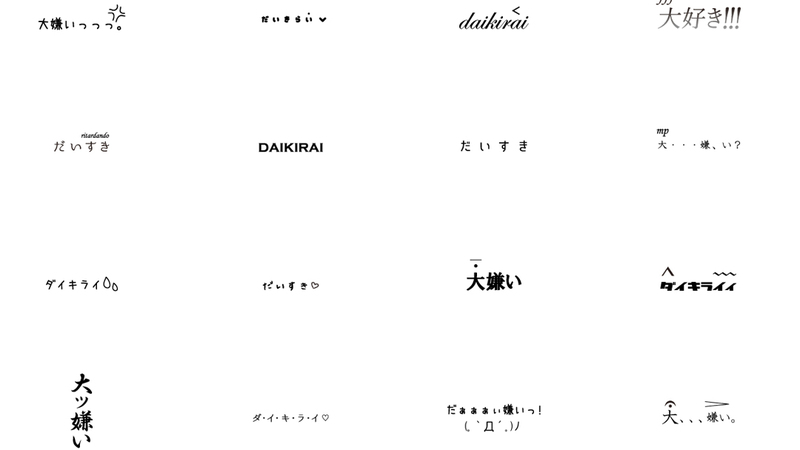 Upon close inspection, you see that the words are written along with music symbols, Emojis, or decorated lines on Manga… The words are written in Kanji, Katakana, or alphabet. It is amazing to see so many ways to write the same word. When you put the lens over a word, it reads the word out loud. There is a version that is read with a slight rolling of the tongue like a foreign word, and another one that says “hate” with an intonation that suggests the complete opposite. The visitors were captivated by the joy of receiving the visual meaning and feel through sound. Some words made them giggle, reminded them of something, and even turned out completely unexpectedly. The space created to capture and move emoglass users was also very popular during the exhibition period. 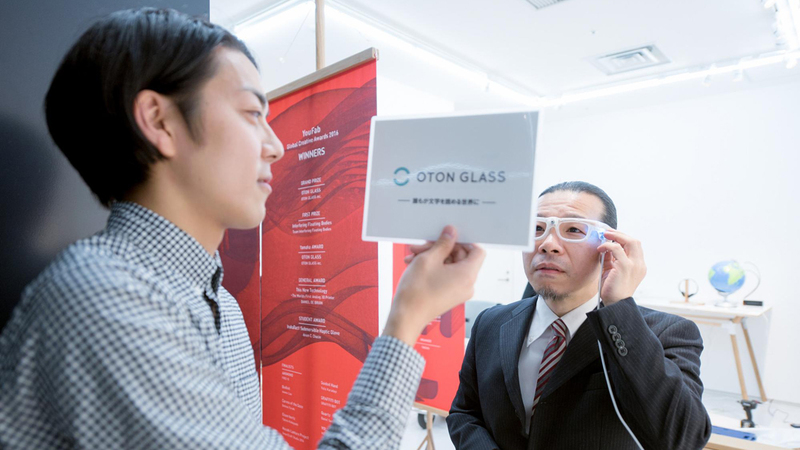 The OTON GLASS team, lead by Mr. Shimakage, which works on grassroots-style product development, and Yamaha Corporation, one of Japan’s major companies. 2 completely different creative organizations, in terms of size, organizational structure, and history, have collectively made a new mark. YouFab Award continues to support their future endeavors.